While Google Adwords is often the go to place to do keyword research, there are many tactics that an online marketer can use to delve deeper into keyword research. 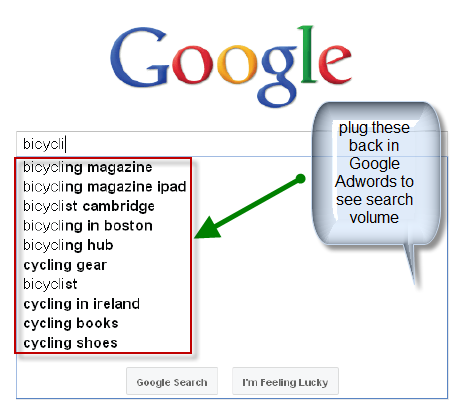 Here are some simple ways to augment your keyword research by applying 6 additional keyword research tactics and tools. Google suggest is a really simple way to get many permutations and combinations of keywords. Do your research in Google Ad words and then go to the Search box in Google and use the suggest tool to see all the suggestions that come up in combination with your chosen keywords. Then go back to Google Ad words and get search volume data on those new words. 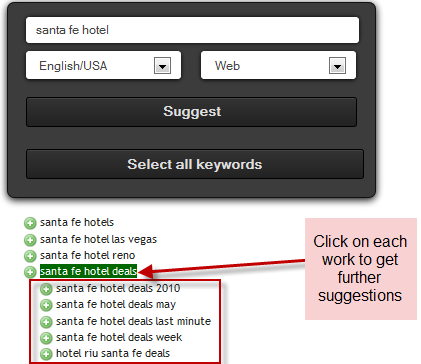 Ubersuggest.org is another great keyword suggestion tool. Übersuggest can get suggestions either from regular Web search or from search verticals like Shopping, News or Video. Übersuggest takes your base term, add a letter or a digit in front of it, and extracts suggestions for it. LSIkeywords.com is yet another tool that gives suggestions of keywords and also top word phrase suggestions using those keywords. The main concept behind Latent Semantic Indexing is to discover words and phrases that are related to each other. 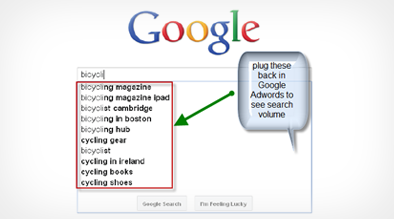 Search engines, such as Google, use Latent Semantic Indexing as part of their search analysis, when trying to decide what websites are most relevant to the query. Hyper Relevant Searches: Internal search terms done on your website using the search box are known as hyper relevant searches and the keywords used to do such searches must be harvested and analyzed. 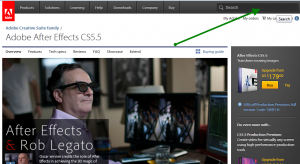 These can be extremely useful in gauging what customers are looking for. Social keyword monitoring: Understand how others talk about you in various social media sites like Yelp, Trip Advisor, Google Reviews, Facebook, Linked In, Twitter etc. This can be a great source of getting relevant desirable keywords that can be used organically as well in PPC campaigns. Good post. The best tool I’ve used beyond Adwords is OpinionAmp. OpinionAmp gets reviews from my real customers and takes those reviews to the culture and target audience we’re trying to reach with our product. It’s been a wonderful experience – incredibly positive results! I have never utilized Google suggest because I did not think that it’s something that can be used for SEO. Your idea is brilliant.